While January dragged harder than Twitter slating Jordyn Woods, February flew past quicker than Tristan yelling FAKE NEWS. Anyone else a bit too involved in the Kardashian drams? I had a lovely February and my post of What I’ve Been Up To will be up on Friday. 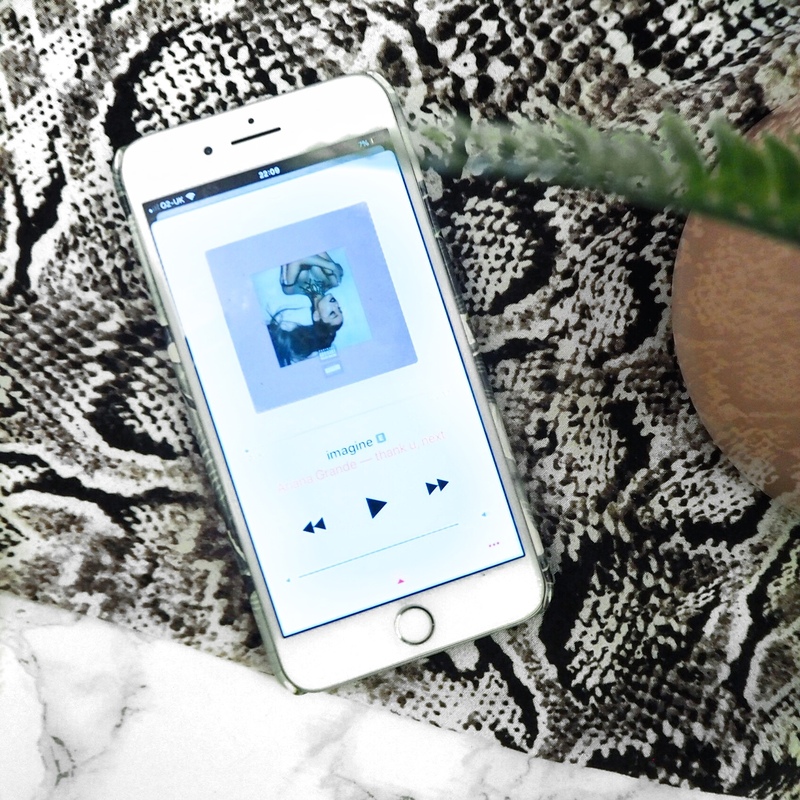 In the meantime here are my February Favourites – a few of the things which brought me joy last month. 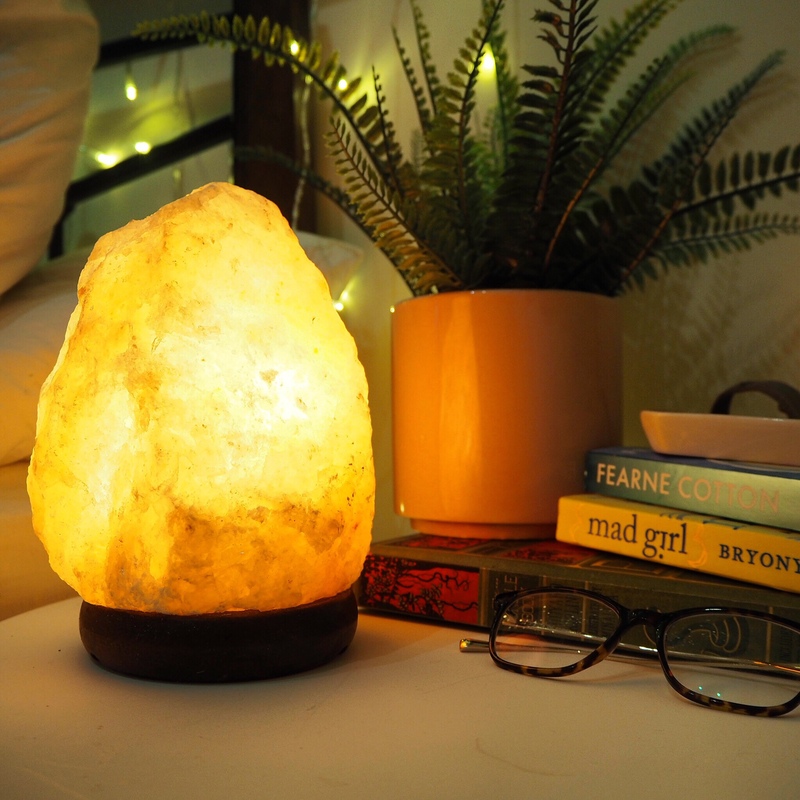 I first saw this Himalayan Salt Lamp on Naomi Victoria’s YouTube and thought it looked so gorgeous. I was even more impressed when I saw they were only £14.99! Bargain! When reading about them on Amazon I was also excited by the properties they propose to hold. 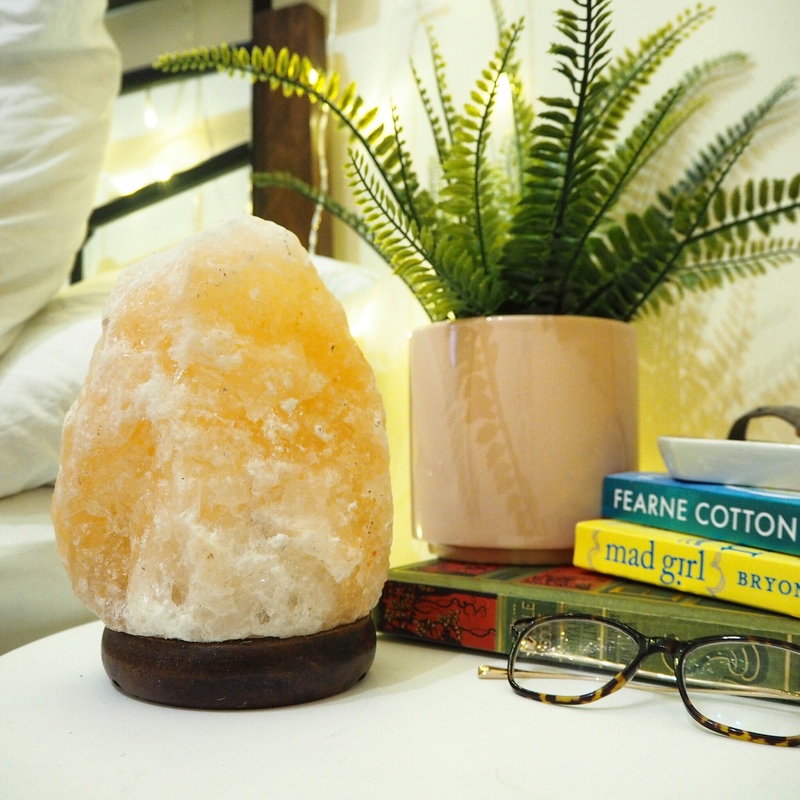 As well as being great aesthetically, salt lamps release negative ions which help purify the air and so are wonderful for people with asthma and allergies. I’ve suffered with asthma and eczema my whole life, and in the last two years have suffered really badly with mystery allergies. There is definitely something at my house I’m allergic to and the doctors still can’t work out what it is. Early thoughts were it was my boyfriend. Excellent. Andy / Allergy gave me a Salt Lamp for my birthday and I am absolutely in love! It looks so pretty on my bedside table and gives a really gorgeous pinky glow when turned on. It’s added even more cosyness to the bedroom, particularly when teamed with our fairy light curtain. I’ve been keeping note of my allergies and symptoms too so will monitor for a bit longer and let you know if I think it’s had any positive impact there too. I’ve never been a massive fan of Ariana Grande. I’ve always found her songs to be a little bit too wailing and high pitched to be able to get fully on board – not great for a shower karaoke session you see?! Well guess who’s changed their tune? Me! And possibly Ariana?! I LOVE THANK YOU NEXT! It’s got so many good songs and seems a bit more grown up and gritty than her previously poptastic tunes. Faves at the moment are NASA, Bloodline and Fake Smile. What are yours? Hands up who’s old enough to remember Footballer’s Wives? Filmed and set in the early 2000’s it chronicles the scandalous lives of the footballers of Earl’s Park Football Club and –shockingly – their wives. Basically brought about by the rise in popularity and the phenomena of Posh Spice, Coleen Rooney and their cohorts in the early 00’s, it is absolutely epic pure trash and pure naughties glory. The story lines are wild – and often hilarious – it’s pretty much a parody of itself. It really is bloody amazing and it’s every bit as good watching it all these years later. And yes I do still fancy Jason Turner. I treated myself to the season 1 box set off Amazon for my birthday and my God I can’t wait to get the rest the seasons. Please watch it. Please! I wrote about how much I loved my Noble Collection Harry Potter Quibbler puzzle in my January What I’ve Been Up To post. I was really lucky and got two new ones for my birthday – a Marauders Map one and a Hogwarts one. I decided to start with the Marauders Map print and MY GOD ITS HARD! 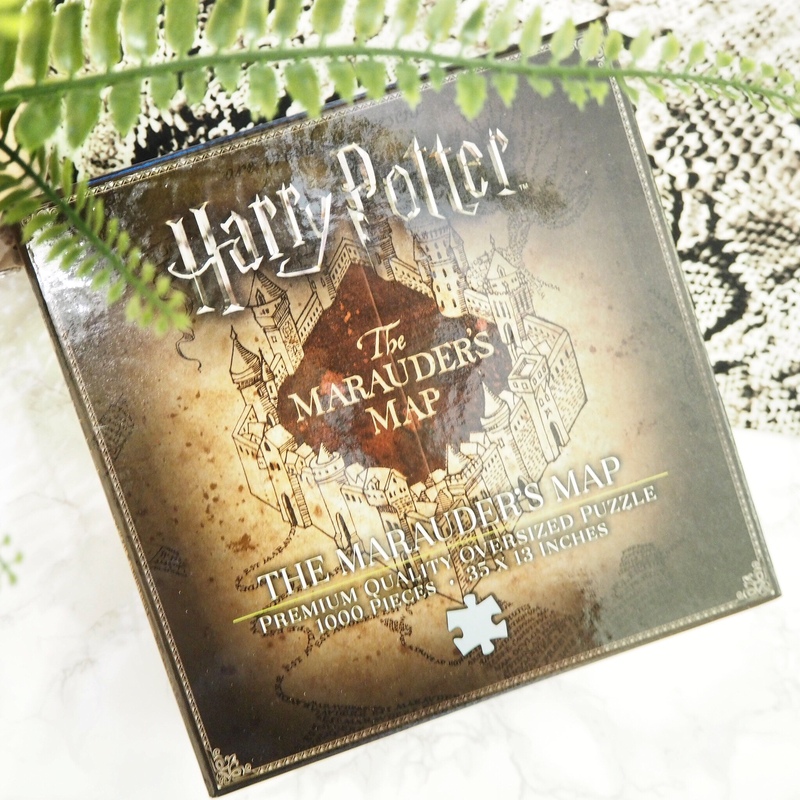 The Quibbler puzzle has very distinguishable and different elements to the design, where’s as the Marauder’s Map is pretty similar all over, and annoyingly they only give you a small picture to work off. That being said, it’s so nice to come home and do something so relaxing to wind down in the evening, and particularly focus on something offline. It is taking me a lot longer than the Quibbler puzzle but it’s even more rewarding when you get the right bits together as it’s so much harder. I’m planning on having a good puzzle sesh this weekend. I’ve become a bit obsessed with Briony Gordon. 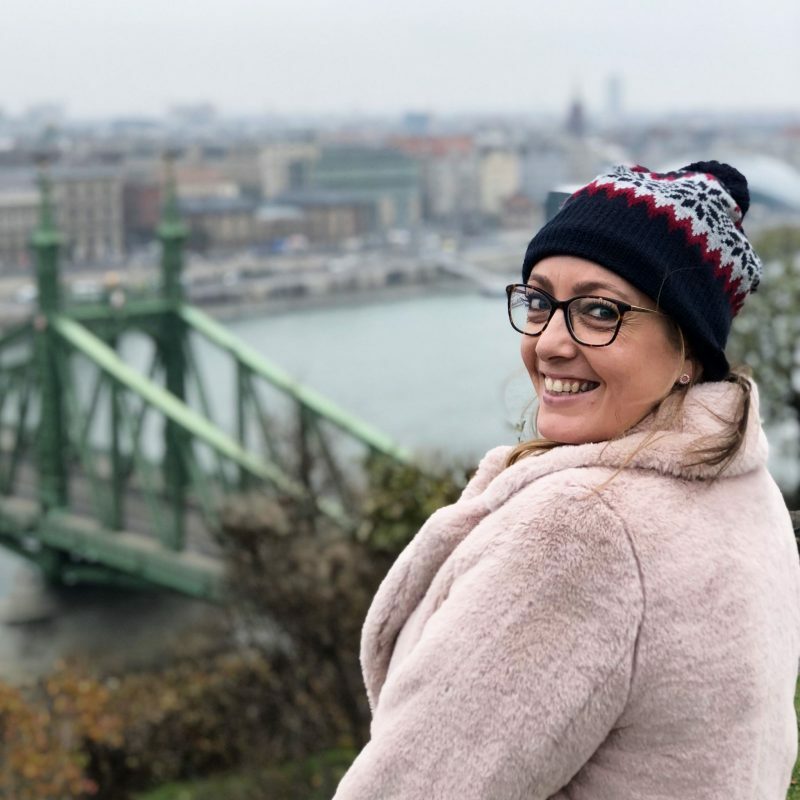 I first heard of Briony when she was interviewed by Ferne cotton on her Happy Place podcast, and found her so engaging, so hilarious and so relatable. She’s a great advocate for body positivity and speaks very openly and frankly about her OCD and I am here for it! 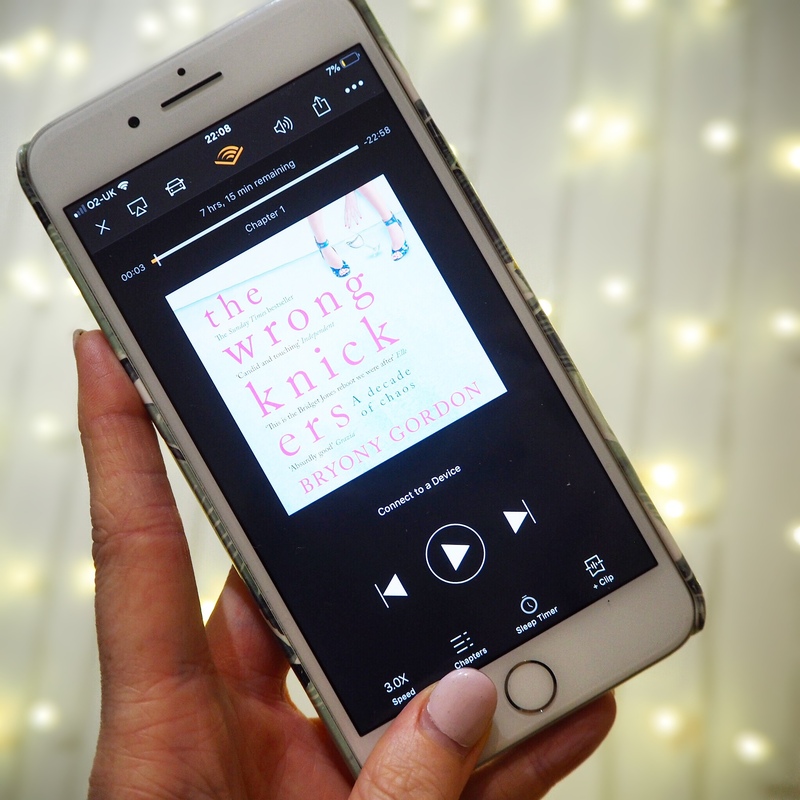 The Wrong Knickers is Briony’s autobiography which reads pretty much like a modern day Bridget Jones’ Diary but even funnier! It’s a wonderful tale of self discovery and navigating the footfalls of becoming an adult, and great to see how someone who I see as a bit of a heroine now, and follow her journey to learning who she is and how she fits in the world. Briony has another couple of books talking about mental health and I can’t wait to get stuck into these too. I know, I know, that’s pretty blasphemous in most circles. I just think it’s absolute rubbish. Yes Idris is very cool (FIT), but I think the acting is appalling and it’s just a little bit too shouty and a little bit too far fetched for me. A friend of mine suggested I give Line of Duty a go (mainly so I’d stop moaning about how crap Luther is) as I love a gritty crime drama. My God it’s delivered – it’s everything I wanted Luther to be and more! The characters are well developed and complex – you’re not quite sure who you should like and trust and who you shouldn’t. The story lines are also so involved and keep me gripped and guessing with each episode. 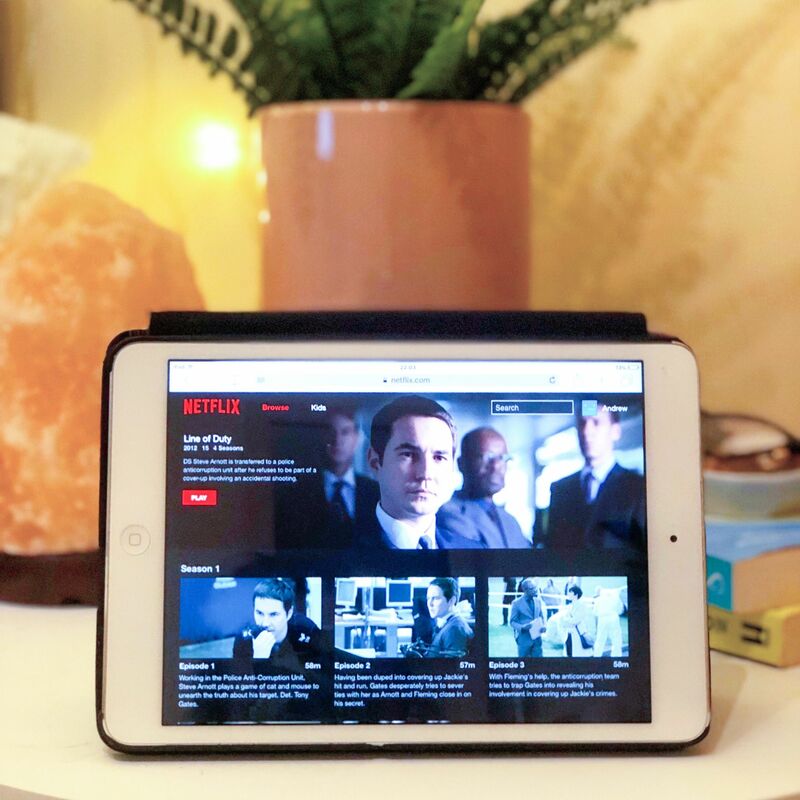 There are 4 series – all on Netflix – and they get better with each one. There’s a fifth season coming on TV soon too and I literally can’t wait! I’m the girl who likes to have cool, up-to-date technology doesn’t want to pay for cool, up-to-date technology. I’m pretty clumsy and heavy handed, so I never like to buy too expensive things as I know I’ll eventually break them. I spotted these Audio-Technica headphones in the Urban Outfitters sale and I couldn’t resist. They were £30 reduced down to from about £100, and I love the white colour. 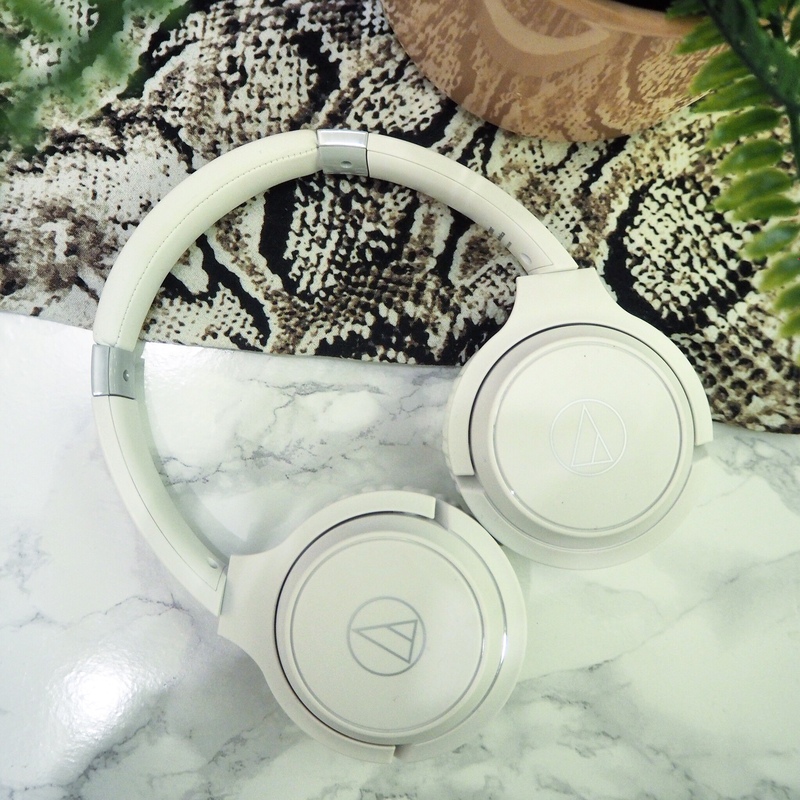 They have really great sound quality, are pretty comfortable to wear and have a whopping 40 hour battery life! I love them and am using them a lot more than I thought I would, especially as it means I can now charge my phone and still listen to music, without having to pay out the £150 for Apple airpods. Big fan! I long for a perfect pearly white smile, and usually stick to my beloved Oral B Glamorous White toothpaste to get me as close to a Hollywood smile as possible. 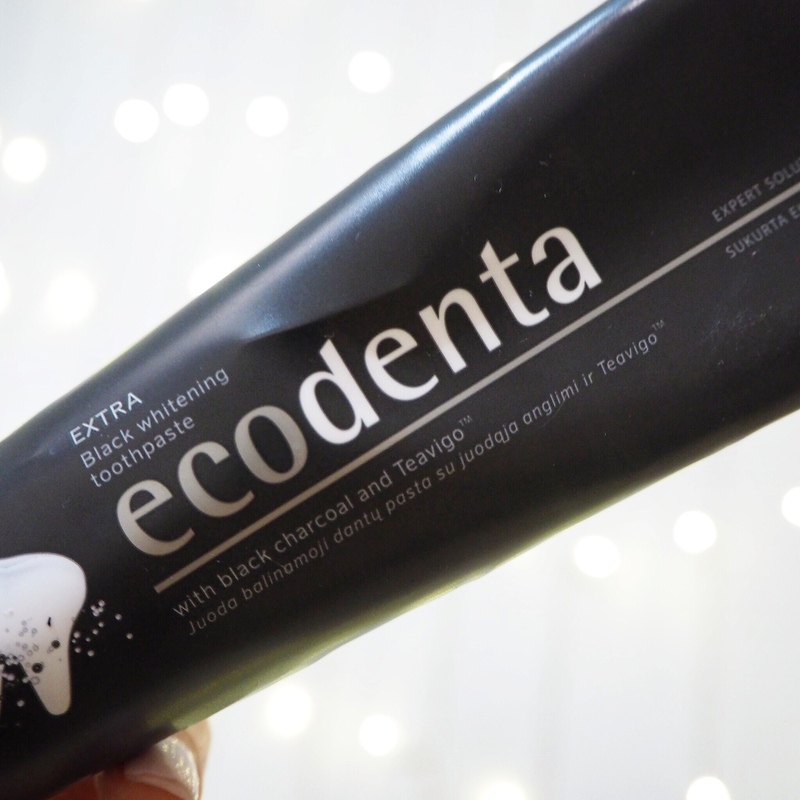 When Marie Kondo-ing my bathroom cupboards however I came across this Ecodenta charcoal toothpaste which I picked up from Holland and Barrett’s when it was on offer, but never got round to using. I decided to give it a whirl as soon as my last tube of toothpaste ran out and I love it! I’ve been using it for the whole of February and have definitely noticed a difference in colour to my teeth. The only thing I’m not a massive fan of is the fact that as it’s a charcoal toothpaste it does leave black drips on clothing if you’re a messy brusher like me. Why am I like this?! 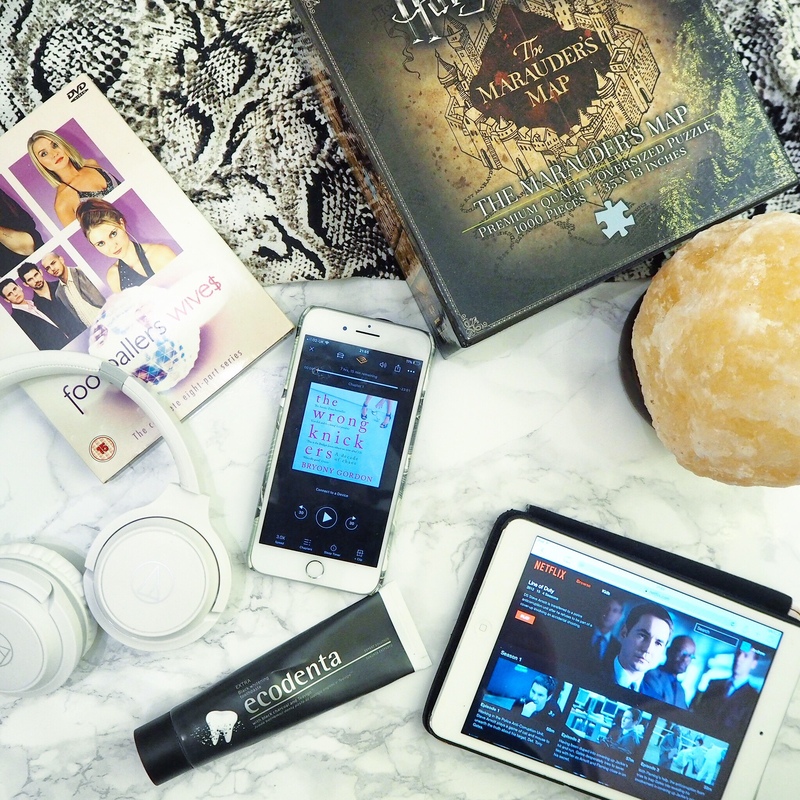 That’s it for February Favourites. I’m hoping I’ll have my Marauder’s Map puzzle all finished by the time March Favourites rolls around. Pray for me. Let me know if you have a Salt Lamp and find it actually works to help your allergies etc too! So excited to see if it helps mine. OMG Footballers Wives .. what a show! I still reference it now, the storylines were just so ridiculous!!! Haha it was amazing wasn’t it! It’s even funnier to watch back now! !